Alan Eck, of Henderson, Maryland, is a 24-year-old farmer who raises 60 head of beef cattle, 600 market hogs, and a ridiculous number of broiler chickens across the bridge in Queen Anne’s county. He also operates a straw and hay business which he started while still in high school. As a graduate of Queen Anne's County High School, Alan later went on to receive an associates degree in Production Agriculture at Delaware State University, where he continues to take animal science classes. 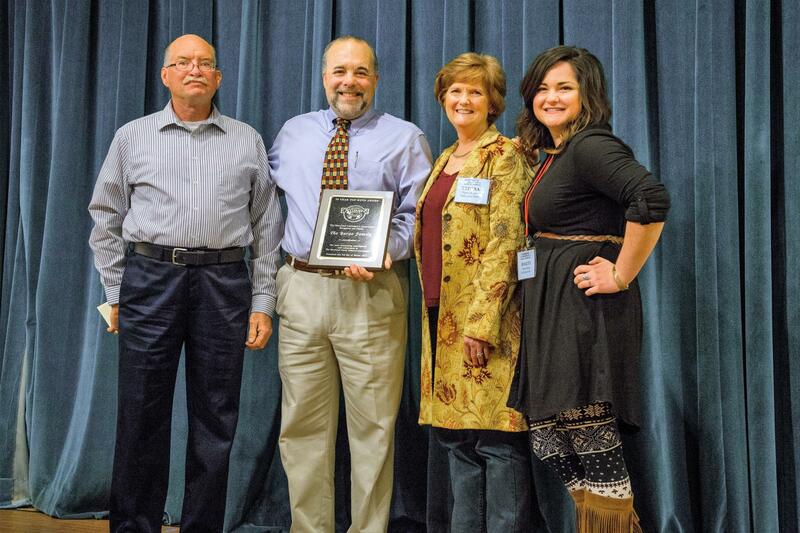 Alan was instrumental in starting a “Young Farmers” chapter in Queen Anne’s County and currently serves as its chairman. Along with numerous FFA awards, Alan is also an Eagle Scout. Ned Sayer's dad, Lawrason Sayer, was on-hand to present the very first Ned Sayre Scholarship in support of this deserving young man who will be part of the 10th LEAD Md. Class! The LEAD Md. program plays a pivotal role in developing and training up the next generation of Ag leaders for Maryland. 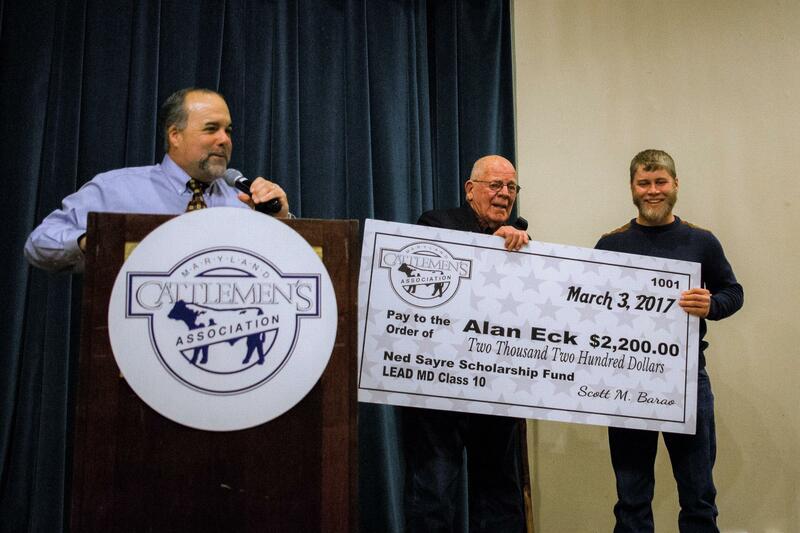 Two short years ago, in partnership with the LEAD Maryland team, MCA agreed to establish, promote and administer without charge, the Ned Sayre Scholarship Fund for the expressed purpose of helping to defray the cost of future LEAD class participation for individuals actively engaged in the cattle industry in Maryland. 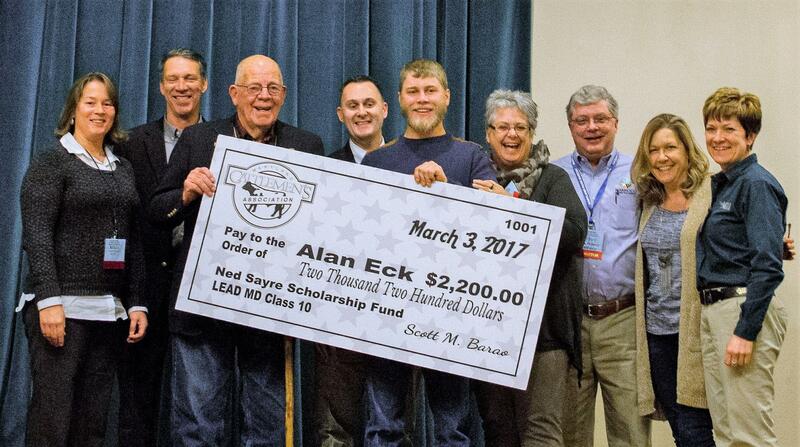 In two short years, the scholarship fund grew rapidly because of the generous contributions from many individuals across Maryland who knew and loved Ned Sayre and wanted to honor his memory by financially supporting the LEAD Maryland program. Ned was a student in the first-ever LEAD MD class in 1999. 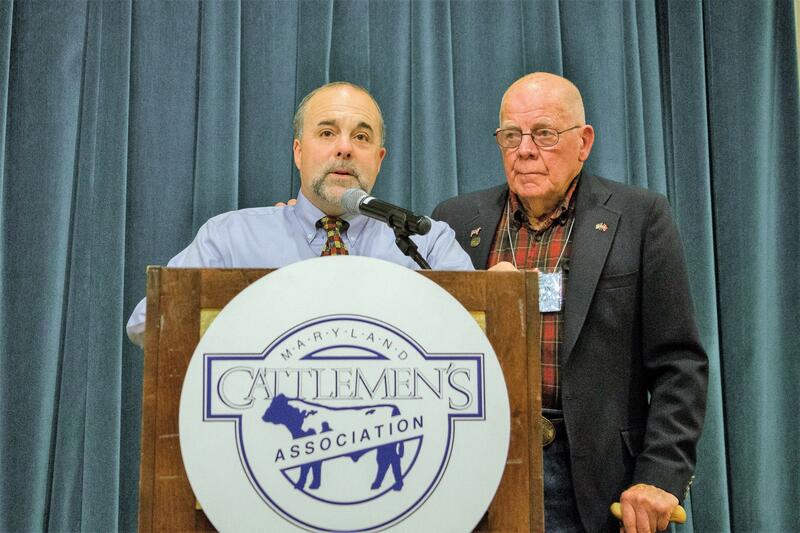 This year marked the 30th time that the Maryland Cattlemen's Association held their annual convention in Hagerstown, Md. 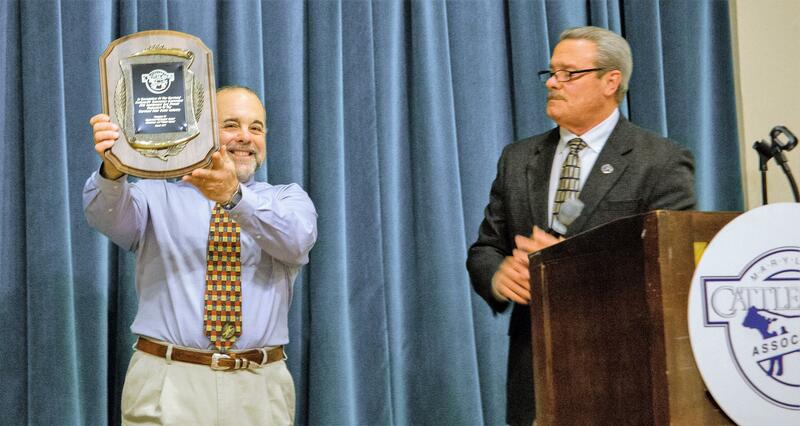 To show the city's apprciation for the Association's continued support for three decades, Mayor Bruchey presented a commemorative plaque to Dr. Scott Barao, representing the Cattlemen's Association. 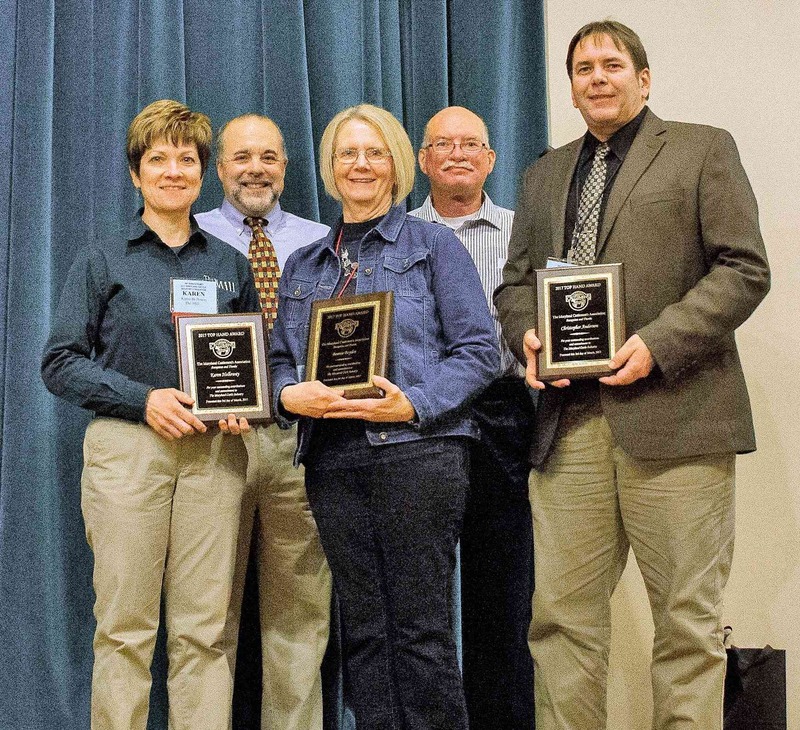 Over the course of three decades, in recognition of countless hours spent planning, attending and orchestrating events with, and on behalf of, the Cattlemen's Association, Dr. Scott Barao, along with his wife, Teresa, and daughter Hailey, were surprised and delighted to accept a 30-Year Top Hand Award. 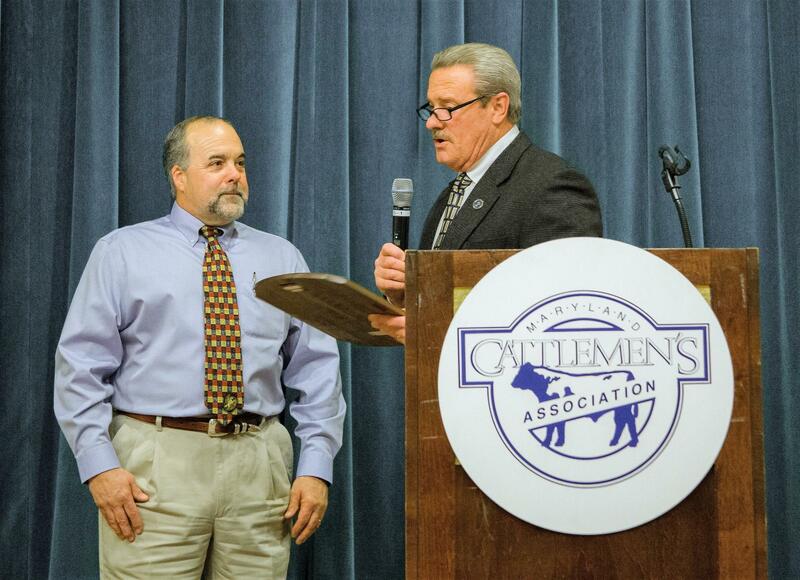 Scott says, "I can honestly say that it has been both an honor and a true labor of love to lead the Maryland Cattlemen's Association these 30 years." The Maryland Livestock Skill-A-Thon program was first hosted in 2004 in conjunction with the annual Cattlemen's Convention. At that time, 68 youth from 8 counties participated; in 2016, the participation grew to 140 youth from 14 counties across Maryland! In recognition of their outstanding leadership and growth of the program, the 2017 Top Hand Award went to Chris Anderson, Bonnie Boyden and Karen Holloway.